There is no clear evidence that lethal control works to stop wildlife from going after farm animals. 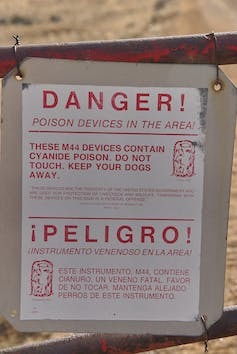 In fact, it can even make the problem worse. 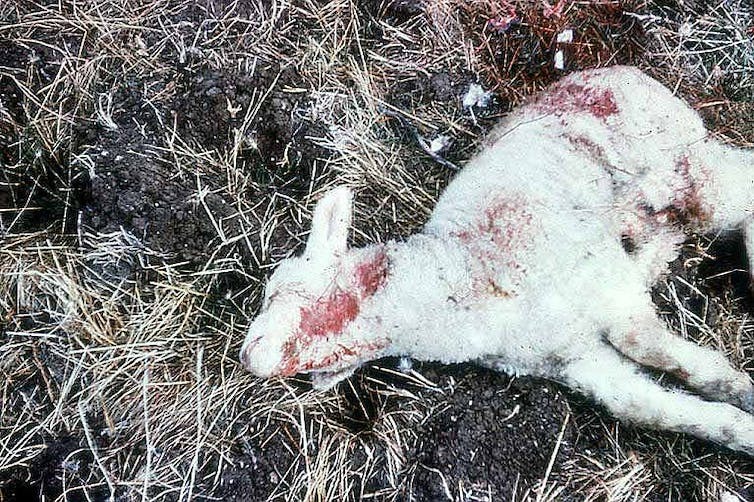 Domestic sheep killed by a coyote in California. 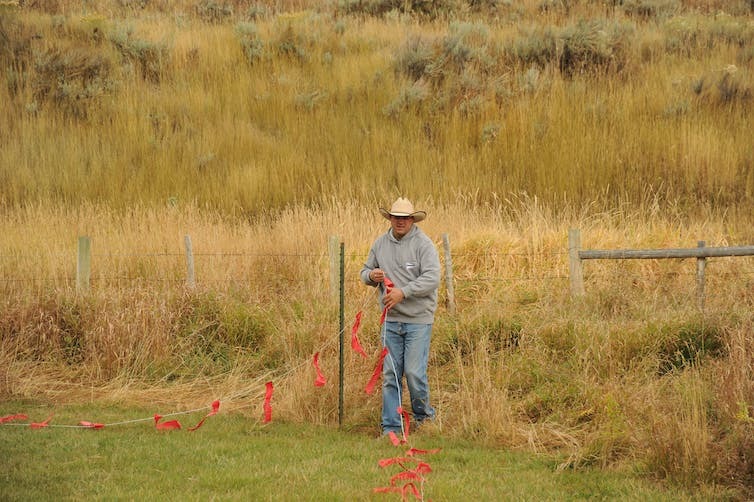 A USDA biologist installs fladry to deter predators on a ranch near Jackson, Wyoming. 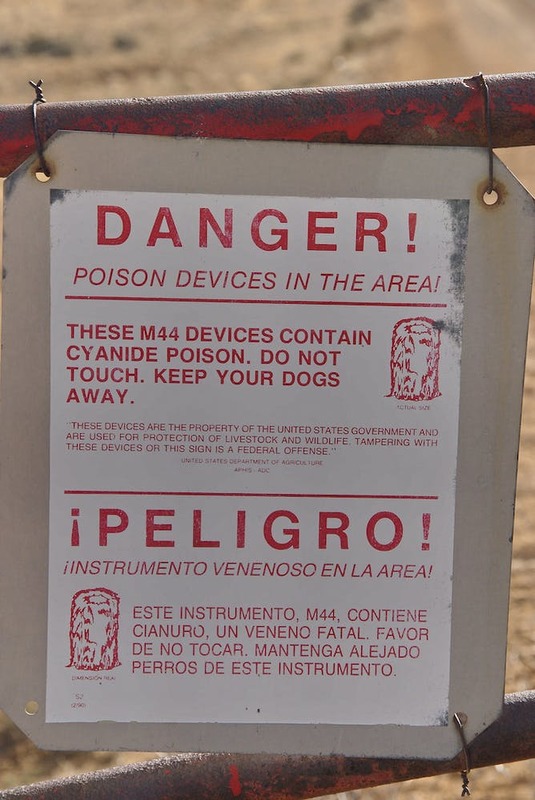 This means that we need to choose prevention and mitigation methods carefully. If cultural values and prevailing community attitudes are not taken into account, attempts to change ranching practices could increase hostility toward predators and make it harder for conservation groups to work with ranchers. Federal employees at Wildlife Services are under tremendous pressure from the agricultural industry. And farmers and ranchers often act based on deeply rooted traditions and cultural attitudes. It rests with wildlife professionals to use current and well-grounded science to address human concerns without harming the environment. Disclosure: Megan M. Draheim has previously received funding from The Animal Welfare Institute and the Humane Society of the United States. Megan M. Draheim is a lecturer in Conservation Biology and Human Dimensions of Wildlife at Virginia Tech. Her work focuses on three major (and overlapping) themes: human-wildlife interactions (including human-wildlife conflict), urban biodiversity conservation, and public engagement around conservation science and policy. She has worked with everything from urban coyotes outside of Denver to dolphins in Bayahibe, Dominican Republic. She takes an interdisciplinary approach to her projects, combining the ecology of the species or ecosystem in question with the human needs and motivations that are driving the issue.